Francisco Marto (June 11, 1908 – April 4, 1919) and his sister Jacinta Marto (March 11, 1910 – February 20, 1920), together with their cousin, Lúcia dos Santos (1907–2005) were from Aljustrel near Fátima, Portugal. They saw three apparitions of an angel in 1916 and the Blessed Virgin Mary in 1917. 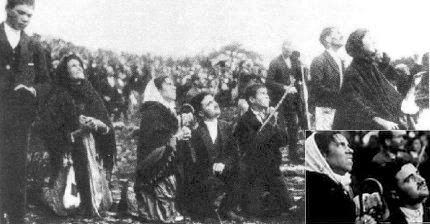 They reported visions of Our Lady of Fatima. The youngest children of Manuel and Olimpia Marto were Francisco and Jacinta. They were illiterate and they worked with cousin Lucia, tending sheep. Francisco preferred to pray alone, as he said "to console Jesus for the sins of the world". They saw terrifying vision of Hell at the third apparition. All three children practiced prayer and penance for sin as the lady asked. Jacinta told her parents ‘Oh, Mother! 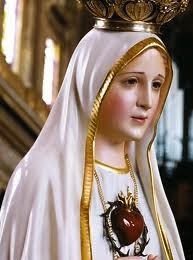 I saw Our Lady today!’. On 13th August, The Administrator, Santos, ‘kidnapped’ the children to prevent them going to the next Apparition, and threatened them with a cauldron of boiling oil. On Sunday, 19th August, the children witnessed their fourth Apparition. 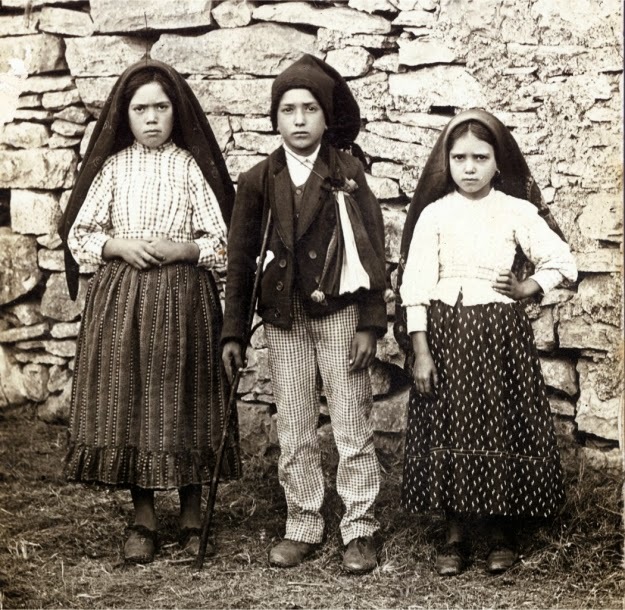 At the Apparitions in 1917 Francisco heard nothing and had to rely on Lucia and Jacinta to tell him what was said by the Lady. Jacinta and Francesco became very ill during the Spanish Influenza epidemic in October, 1918. The priest heard Francisco’s confession on the evening of 2nd April and brought Communion to him the next morning.Opening his eyes, he asked: ‘When will you bring me the Hidden Jesus again?’ This was what he said when talking of the Host in the Tabernacle. Jacinta developed pneumonia and then tuberculosis. She died in hospital just before her 11th birthday. Visitors who saw Jacinta in her open coffin exclaimed that she seemed to be alive, with the loveliest colour. When Jacinta’s coffin was opened on 12th September, 1935 and her face was seen to be perfectly incorrupt. Jacinta's relics and those of Francisco lie in the Basilica at Fatima, with the simple inscription: “Here lie the mortal remains of Francisco and Jacinta to whom Our Lady appeared.” Jacinta and her brother Francisco were beatified- declared ‘Blessed’, by Pope John Paul II on 13th May, 2000 at Fatima. My God, I believe, I adore, I trust and I love Thee! I beg pardon for all those that do not believe, do not adore, do not trust and do not love Thee. O my Jesus, forgive us our sins, save us from the fires of hell, lead all souls to Heaven, especially those most in need of Thy mercy. Amen. O Most Holy Trinity, Father, Son and Holy Spirit, I adore Thee profoundly. I offer Thee the most precious Body, Blood, Soul and Divinity of Jesus Christ present in all the tabernacles of the world, in reparation for the outrages, sacrileges and indifferences by which He is offended. By the infinite merits of the Sacred Heart of Jesus and the Immaculate Heart of Mary I beg the conversion of poor sinners. 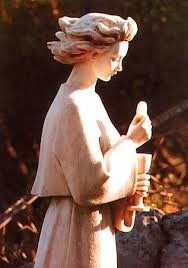 The Angel's Prayer is an Act of Reparation to The Holy Trinity. PLEASE SHARE THIS AMAZING STORY AND PRAY!